Texas is helping lead a lawsuit against President Barack Obama's administration over a new rule that makes millions of more workers eligible for overtime pay. Texas is helping lead a lawsuit against President Barack Obama's administration over a new rule that makes millions more workers eligible for overtime pay. 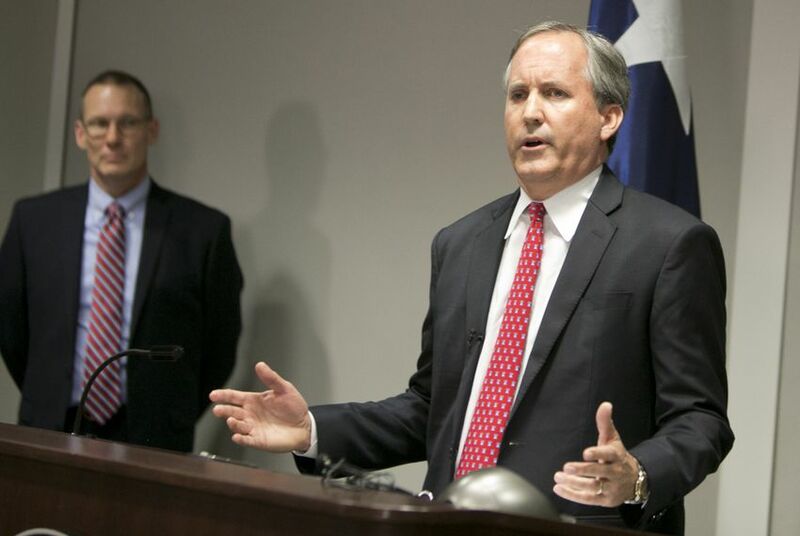 Attorney General Ken Paxton announced Tuesday he is joining his counterpart in Nevada, Adam Laxalt, to file the lawsuit on behalf of 21 states. Paxton said the rule, announced earlier this year by the U.S. Department of Labor, is another example of Obama "trying unilaterally rewrite the law." The rule, set to go into effect Dec. 1, doubles the salary threshold under which workers qualify for overtime pay, from $455 per week to $913 per week. The Labor Department estimates the rule will benefit an additional 4.2 million workers. Critics of the rule say it will place a new burden on businesses, potentially forcing them to demote or lay off workers whom they cannot afford to pay more. On Tuesday, Paxton warned the rule "may lead to disastrous consequences for our economy." "The numerous crippling federal regulations that the Obama administration has imposed on businesses in this country have been bad enough," Paxton said in a statement. "But to pass a rule like this, all in service of a radical leftist political agenda, is inexcusable." Labor Secretary Tom Perez responded to the Texas-led lawsuit with a statement expressing confidence in the legality of the rule. He suggested efforts to stop it were partisan. "Despite the sound legal and policy footing on which the rule is constructed, the same interests that have stood in the way of middle-class Americans getting paid when they work extra are continuing their obstructionist tactics," Perez said. The Texas-led lawsuit also drew criticism from labor groups and their allies in Texas. The state chapter of the AFL-CIO called the lawsuit a "backward-gazing insult" to workers, while the state Democratic Party said it shows Texas Republicans are more interested in "scoring political points" against Obama. The lawsuit specifically claims that the rule is too broad because it is based on the salary threshold. Such a requirement, the states argue, overlooks the fact that some workers in the salary range perform management duties that would make them ineligible for overtime. The states are asking a federal judge in Sherman to issue an injunction to prevent the rule from taking effect. Texas and Nevada are being joined in the lawsuit by Alabama, Arizona, Arkansas, Georgia, Indiana, Iowa, Kansas, Kentucky, Louisiana, Maine, Michigan, Mississippi, Nebraska, New Mexico, Ohio, Oklahoma, South Carolina, Utah and Wisconsin. Since President Obama took office in 2009, the state of Texas has sued his administration at least 44 times. Here's a look at each of those cases. Texas has again taken the U.S. Environmental Protection Agency to court, this time challenging new rules aimed at slashing methane emissions in the oil patch. A federal judge in Fort Worth has blocked Obama administration guidelines directing the nation’s public schools to allow transgender students to use bathrooms and other facilities that align with their gender identity.